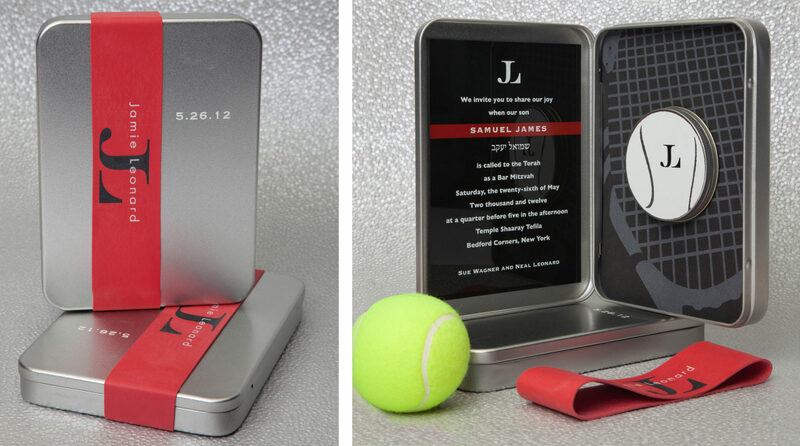 This smashing invitation for a tennis aficionado featured a hinged tin mailer wrapped with a custom-printed rubber band. 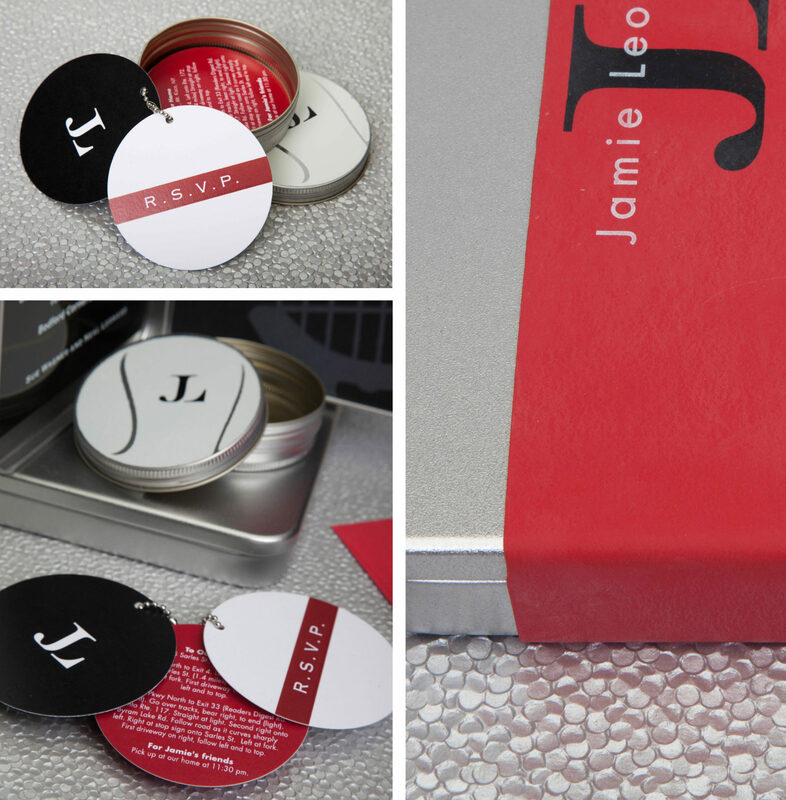 A high-gloss acrylic panel insert is silkscreened with the event details. 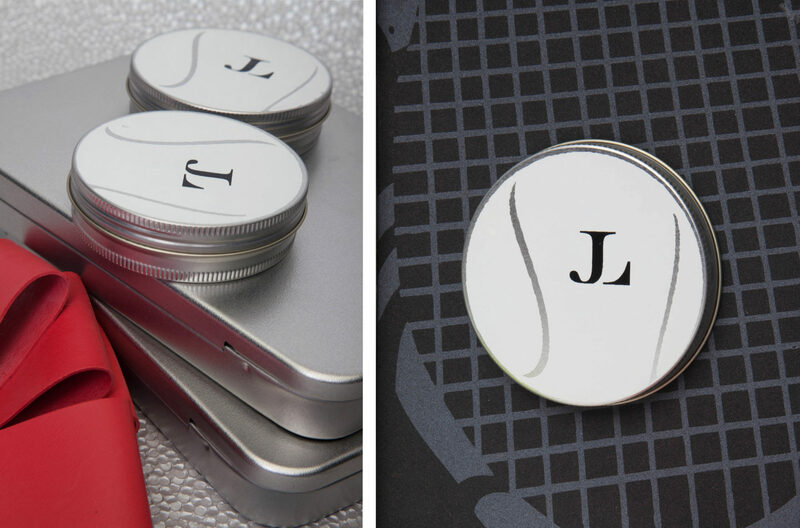 Tucked inside the tin, foam with a printed racket image holds a round screw-top can printed with a ball graphic and event logo. 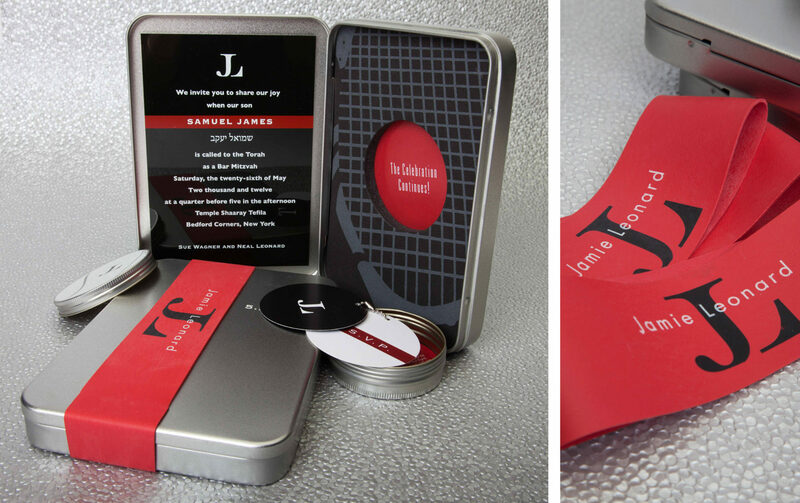 Inside, cards containing reception information, a reply and directions are all chained together. Game, set and mitzvah!